Sustainable Stormwater Management introduces engineers and designers to ideas and methods for managing stormwater in a more ecologically sustainable fashion. It provides detailed information on the design process, engineering details and calculations, and construction concerns. Concepts are illustrated with real-world examples, complete with photographs. This guide integrates the perspectives of landscape architects, planners, and scientists for a multi-disciplinary approach. 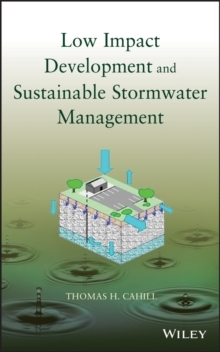 This is an enlightening reference for professionals working in stormwater management, from engineers and designers to developers to regulators, and a great text for college courses.